A death knell is the ringing of a bell to announce a death. This is also called tolling the bell. OK, so maybe I’m being overly dramatic. But still, for as long as I can remember analyst firms like Forrester and Gartner have had a huge influence over IT buying. Especially at bigger companies. But the “social” customer/buyer is changing things, even in B2B tech buying. About a year ago G2 Crowd was launched as a kind of Yelp for business software. Software users are invited to give their candid feedback on CRM, marketing automation and other software. Buyers can use this info to decide whether it’s worth investigating further. This, of course, is yet another reason why buyers are delaying contact with sellers. Researchers find 50% or more of the B2B buying process is now “done” before sales professionals are engaged. That’s why you’re seeing a flood of marketing automation and content marketing solutions — to attempt to influence buyers in this crucial early stage. Big picture: G2 Crowd is doing a thoughtful job building a real community. Unlike Yelp, which has been hounded by accusations of review fraud, users are required to use their LinkedIn profile. According to founder Godard Abel, this has helped to cut down on spam issues. They also used community feedback and other tools to find fake reviews — e.g. software reps trying to promote their products or trash someone else’s. I’ve spent some time on the site and found it really useful. As a small business owner and tech buyer, I will never buy an analyst report, but G2 Reviews would definitely influence my purchase decisions. In about a year Abel and team have done an impressive job getting 10K contributors to join. About 40-50K people visit the site monthly, also noteworthy. As a critical mass of data is built, G2 Crowd can start to produce analyses of what reviewers are saying. 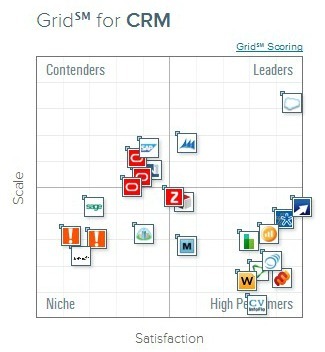 Like this Grid™ for CRM just released. The “satisfaction” scale is calculated with community input. The other scale is a bit more problematic in my view. It’s an attempt to portray the business size and viability, which is an important issue in IT buying. But, from a quick glance it would seem that it boils down to bigger = better on the “scale” axis. And this is one of the problems with analysts firms that Abel mentioned to me — they tend to overlook emerging vendors. The strong upstarts you’ll find down in the lower right, like Nimble which I reviewed here. 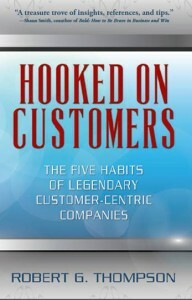 But once again it’s that top/right quadrant that draws the eye, just like Gartner’s Magic Quadrant. Another quibble is that the bar for entry into the “grid” is very low. Just 10 reviews and a vendor can be included. This strikes me as too small a sample; 50+ would be a safer number for statistical significance. There’s bias in all research, of course. Analysts don’t have perfect samples either, and reports are subject to the whims of the analyst (with input from spreadsheets and hand-picked references supplied by their vendor clients). So I’d always advise looking at several sources. One last point I’ll make is about monetization. Because if the site can’t make money, it will eventually die. This is the danger zone, because as G2 Crowd grows in its influence, it will turn to those same vendors that users are reviewing to solicit sponsorships, advertising and other services. This moves G2 Crowd into the same conflict of interest as analysts. Money creates influence. Longer term, G2 Crowd is not the end game. Progressive IT vendors have their own VoC programs. I’d like to see them publish their actual VoC feedback data through a service like Open Tell, which I wrote about recently. This data could be fed into G2 Crowd or other services. Then the ratings/rankings would be based on a large number of real customers, and give buyers even more confidence that the data is accurate. So, to answer my question: No, we shouldn’t toll the bell of death for analysts because of G2 Crowd. Big firms will continue to hire analysts, who do a lot more than write reports these days. SMBs, however, will have another option that analysts tend to ignore, which all to the good. I’m looking forward to watching G2 Crowd grow and evolve over the coming months. As I said, they’ve done a good job getting the community launched and providing a useful service in just a year. Another big test is looming as they strive for financial viability without compromising the integrity of the site. 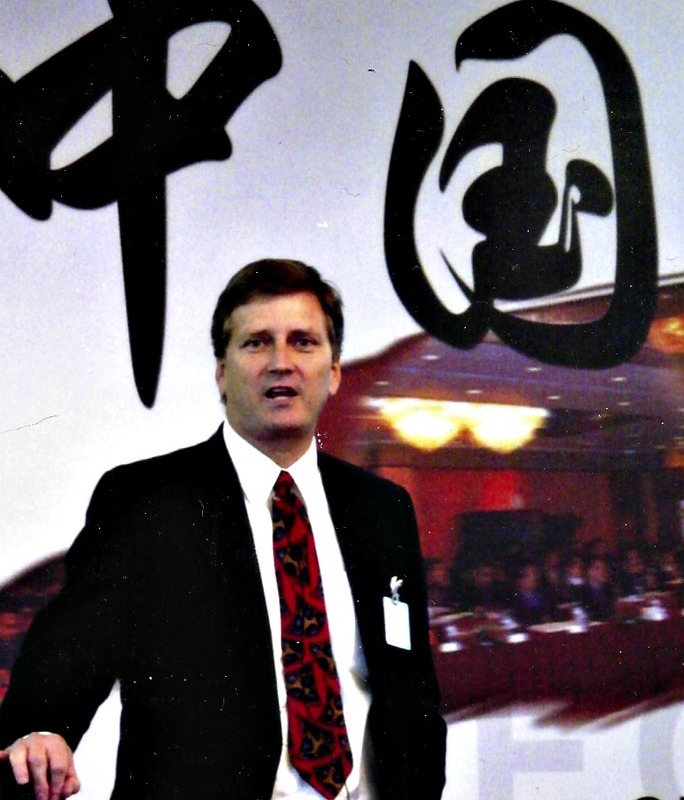 3 Responses to Is G2 Crowd the Death Knell for Forrester and Gartner? I visited the G2 site a few month ago and share your sentiment with it’s usefulness to small business owners and consultants. The challenges are the same as any reputation site, B2B or B2C, would encounter-too many products to reviews and too few reviewers per product. That is the reason we are aggregating product reviews from multiple sources. Without sizable sample of customer experience descriptions, it is very hard for a buyer to assess whether a product is a right fit. As it comes to institutional buyers, I think their decisions are more influenced by risk management considerations than a product fit. “Nobody got fired for buying IBM”. Thanks, Bob, for inspiring me to visit G2crowd and adding my voice about a little-known product I love. As with anything else, it’s the fit between product and user that makes for satisfaction. I was lucky – someone who knows me well recommended I try it. I don’t think that G2 will sound the death knell for the pros, but it might make a fine alarm clock. Thanks, Gregory and Janice, for checking out G2 Crowd and sharing your thoughts on it. The more reviews we get from software users like you, the more valuable and useful our site will become for buyers of all sizes. If you have any specific feedback on how we can enhance the site to make it a better resource, we’d be glad to have your input.